Το blog αποτείνεται σε όλους τους σκεπτόμενους ‘Ελληνες. MyEllada is a blog started by Fanis Tsoulouhas, a Professor of Financial Managament at the University of California, Merced, and former Professor at North Carolina State University. 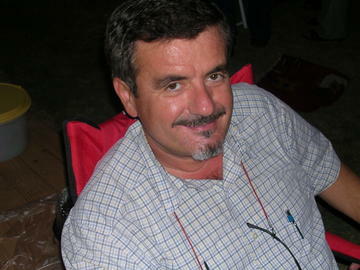 Fanis was born and raised in Greece. He has spent the other half of his life in the US. Fanis has a Ph.D. and a Master’s in Economics from the University of Illinois at Urbana-Champaign, and a Bachelor’s in Economics from the University of Athens. Other contributors have included George Bitros, a Professor Emeritus at the Athens University of Economics and Business. George Bitros has a Ph.D. and a Master’s from New York University, and a Bachelor’s from the Athens University of Economics and Business.